Meet at Littleborough Coach House at 1pm before taking a short walk to the canal to gather and plant seeds. 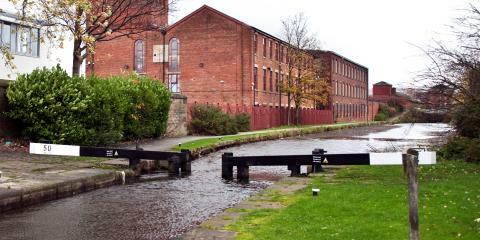 Meet at Littleborough Coach House before taking a short walk to the canal to gather leaves and other items. Upon returning to the Coach House you will have the opportunity to craft artwork with your newly acquired nature finds. Sessions will last up to two hours. Come and join our family friendly canalside nature discovery and craft sessions. Enjoy a canalside walk to gather leaves and other items before creating artwork with your nature finds. Sessions will last up to two hours. Free introduction to kayaking for 6 to 14 year olds and families, with experienced coaches from Hollingworth Lake Activity Centre. All equipment will be provided so come along and join one of our kayaking taster sessions. Free introduction to coarse angling under the supervision of licensed angling coaches from Heywood and District Angling Society. No booking required. Meet at Rochdale Canal, Slattocks, (Hopwood Arms) Rochdale.